Vada pav sometimes spelled wada pav or vada paav, is a popular spicy vegetarian fast food dish native to the Indian state of Maharashtra. 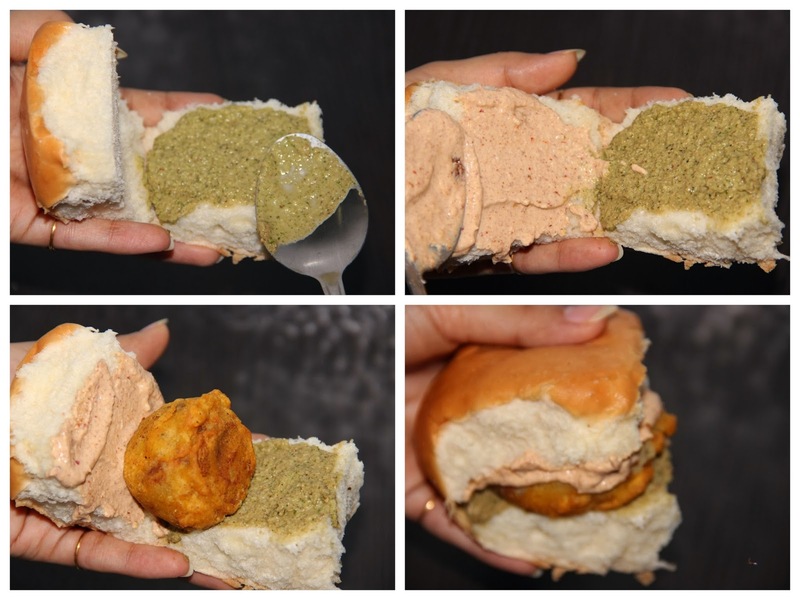 It consists of a batata vada (Aloo Bonda) sandwiched between two slices of a pav. The compound word batata vada refers in Marathi to a vada (fritter) made out of batata, the latter referring to a potato. Pav refers to unsweetened bread or bun. It is also known as an ‘Indian burger'. Roast peanuts, red chilli, garlic and jeera by adding a teaspoon of oil. allow to cool. Grind this with coconut, tamarind and salt. 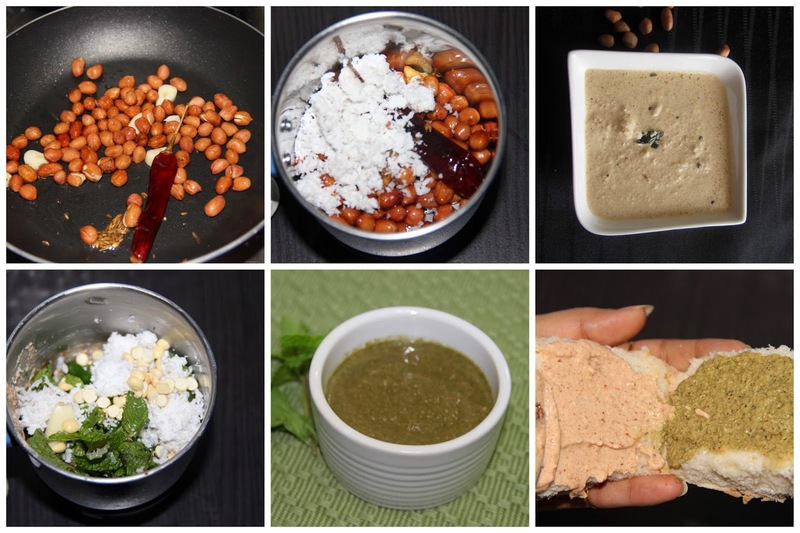 Grind all the above above mentioned ingredients to make green chutney as fine paste. Cut the pav into two pieces and apply green chutney on oneside and the otherside peanut or tamarind chutney. Can keep grated veggies also if you like. I am saying yes all the way to this creative vada, what more with the peanut and mint chutney.